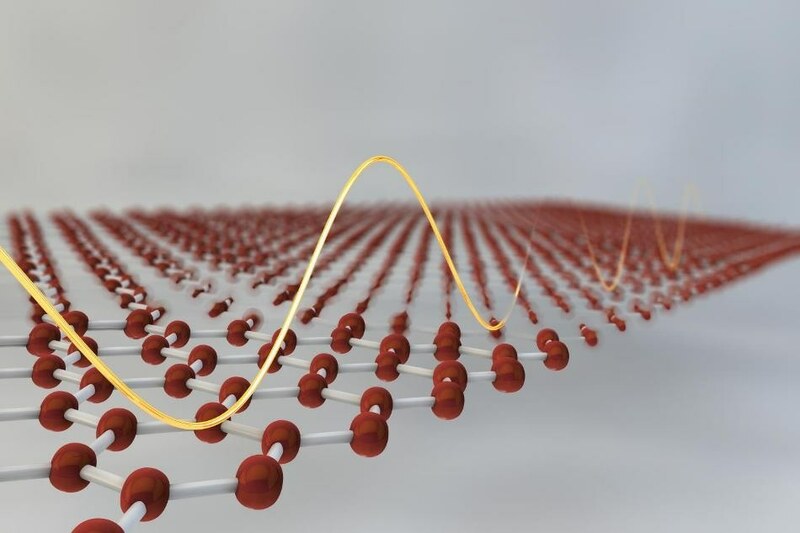 CNR-Istituto Nanoscienze, Italy and the University of Cambridge, UK have carried out Graphene Flagship researches to create a terahertz saturable absorber using graphene generated by liquid phase exfoliation and deposited by ink jet printing and transfer coating. This paper, published in the Nature Communications journal, reports a terahertz saturable absorber with an order of magnitude higher absorption modulation when compared to other devices that are recently produced. In the terahertz range (far infrared), a terahertz saturable absorber reduces its absorption of light with increasing light intensity and has immense potential for the development of terahertz lasers, with applications in imaging and spectroscopy. These high-modulation, mode-locked lasers open up many possibilities in applications where short-time scale excitation of particular transitions are significant, such as time-resolved spectroscopy of molecules and gases, ultra-high speed communication or quantum information. We started working on saturable terahertz absorbers to solve the problem of producing a miniaturized mode-locked terahertz laser with thin and flexible integrated components that also had good modulation. Graphene is a potential saturable absorber as it has built-in broadband operations and super fast recovery time together with an ease of integration and fabrication. This was initially shown in ultrafast infra-red lasers by Flagship partner University of Cambridge. In the terahertz range, the current paper uses graphene generated by liquid phase exfoliation, a method perfectly suited to prepare inks, to mass production, easily deposited by ink jet printing or transfer coating. Mode-locked lasers can be used to generate ultrafast pulses in the terahertz range and can have exciting and interesting uses. These devices could have applications in medical diagnostics when time of flight topography is of importance - you could see a tumor inside a tissue. Frank Koppens, of the Institute of Photonic Sciences in Spain, is the head of the Graphene Flagship's Photonics and Optoelectronics Work Package, which aims at developing graphene-based technologies for data transfer, imaging and sensing, and other photonics applications. "This is a new discovery with immediate impact on applications. Clearly, this is a case where graphene beats existing materials in terms of efficiency, scalability, compactness and speed." he said. It is an important milestone to have demonstrated that easily produced and printable graphene inks can also serve to enable ultrafast lasers in the terahertz range. Since the Flagship's inception, a variety of lasers have been made covering the visible to IR spectral range, but now the important THz range, with applications in security and medical diagnostic, is finally made accessible by graphene, starting yet another possible application field.